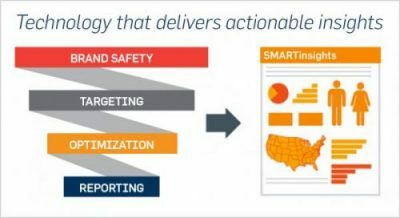 Connecting the performance and efficiency of direct response marketing with the scale and reach of brand advertising. Reach up to 91% of all online users to produce brand lift and drive results. Leverage cross-channel insights to build greater video engagement and brand lift. Elevate customer acquisition success via direct to consumer social media channels. Reaching your audience has never been easier with the most flexible mobile targeting. Build greater engagement and SOV to create interactive ads that capture your audience behaviors. Direct response gets smarter. Acquire, engage, and convert users into revenue-generating customers. Dedicated Media’s proprietary technology stack solves the complexity of cross-channel targeting and optimization. Built from your feedback, SMARTstack provides the delivery and performance you want with the insights you need. Let Dedicated Media deliver your next campaign today. It’s just smart.